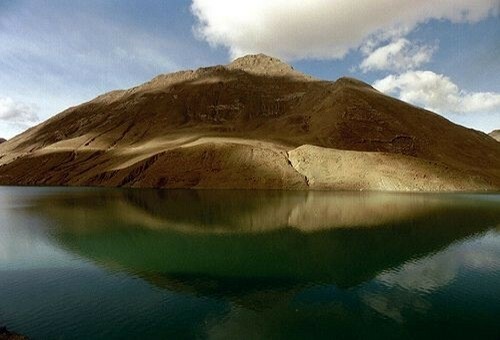 Climate in Tibet is the typical downy special climate. And don’t feel upset, but, it can vary throughout the day and different places in Tibet. Pay attention, you can visit Tibet at any time, but the best time is from April to October. From May to September (especially July and August), as a rule, comes a rainy season, so don’t forget your umbrellas. You need only 4 documents to visit and travel freely in Tibet: the Chinese Visa, the second one is Tibet Permit, the third one is the Travel Permit when you are planning to travel to the closed areas in Tibet which you can obtain it after you arrive in Tibet (So, the 1st question what travel permit is? This paper is also called Aliens’ Travel Permit (A.T.P) and it is required to visit closed areas), and the fourth document is the Military Permit (not always, only if are going to visit some special areas: Ngari, Nyingchi, and Nagqu). Also, you need a visa and a passport (valid for at least six months). Yeah, I am not mistaken, there is not only an air-sickness, it is another kind of disease, that is very popular among Tibet tourists and it presents a great risk to their health! When at high altitudes, people are lack of oxygen, so symptoms vary, but the most widespread are: dizziness, fatigue, headache, nausea, shortness of breath, loss of appetite and insomnia. As a rule, in the course of acclimatization your health condition will become better and better. Before going to Tibet, visit a doctor and be sure that your heart, lungs and other organs are healthy! But the following precautions will help you to avoid Mountain Sickness: drink as mush as possible, before visiting Tibet and in the country: don’t smoke, don’t drink alcohol, eat more chocolate and fruits. If you already feel sick, don’t even think to go higher.  cold-weather clothes. Sounds strange? Because, it is so unbelievable to put lotion with SPF and a warm sweater in one bag, while going to catching sun. But, facts are stubborn thing. As you already know, weather in Tibet can changes in a very quick way, so be ready! Walking shoes, rain coat, woolen socks, hiking boots, long-sleeve shirts… all these things are a must!  torches: be ready to power cuts. Very often the electricity can be cut after 10 PM. It is so romantic!  and, of course, medicine: tablets for water purification, chrysanthemum tea, pain-killers, medicines for diarrhea, nausea, colds and fever.